The Gracie-Barra academy is one of the most widely recognized teams in jiu jitsu, who has by far the most affiliated academies throughout the world and over 500 registered black belts, having set the standards for organization in the BJJ fight game. The team’s creator, Carlos Gracie Junior built the team in the 1980s making the most of a fantastic generation of students which he transformed into talented competitors who went on to dominate many of the world’s most important tournaments, rivalling big teams such as Alliance, Nova União and Carlson Gracie in the 1990s. Since turning its focus to the widespread of its franchises around the world (with more incidence in the United States), Gracie Barra lost much of the competitive edge it had in the 90s and early 2000s in the main competitions such as the Pan Ams, Mundial and World Professional Cup, though it is still regarded as one of the top teams in the world. Though Gracie Barra was officially inaugurated in 1986, its story actually started a few years prior, on 1983, when Carlos Gracie Jr (Gracie Barra’s founder) took control of the team left by Rolls Gracie, after his brother’s tragic death. “Carlinhos” had been the head coach of the main Gracie academy for a few years, coaching alongside Rickson Gracie before heading to Rolls Gracie’s school to be an assistant instructor there. Rolls was a great influence to Carlos who stayed at the helm of his brother’s group for 3 years before deciding to open his own place at the Barra da Tijuca burg in Rio de Janeiro. Barra da Tijuca was a neighborhood popular among surfers who visited Barra and neighboring Recreio for its waves. Many didn’t think Carlos Gracie Junior’s experiment would be successful as the area was not as heavily populated as downtown Rio and too far away from the buzz of Zona Sul, but Carlinhos did not pay much attention to the disbelievers, and in one year turned his 20 students into a group of 200 strong. The team started being called Gracie Barra because people would refer to the academy as “os Gracie da Barra” (the Gracies of Barra). The terminology ended up being shortened to Gracie-Barra and used as a way to differentiate the two schools (Gracie Academy and Barra Gracie). When Carlos Gracie Junior settled in Barra da Tijuca, many of the students he had coached at Rolls Gracie’s academy in Copacabana followed him; practitioners such as Jean Jacques Machado (who helped in the coaching at Gracie Barra in the early days), Renzo & Ryan Gracie and many others. Soon the word spread among the surfing community and local tough guys that a Gracie was coaching in Barra da Tijuca and the gym quickly filled up. The amount of talent built in the early days of Gracie Barra was nothing short of a tremendous achievement with an endless list of amazing grapplers being poured into tournaments regularly, many of which totally revolutionized the sport though their technical innovation, fighters like Nino Schembri through his flexible and offensive open guard, Roberto Magalhães with his inverted guard, Renzo with his butterfly hooks, Roberto Correa with his half guard, “Tinguinha” with the spider guard and many others. 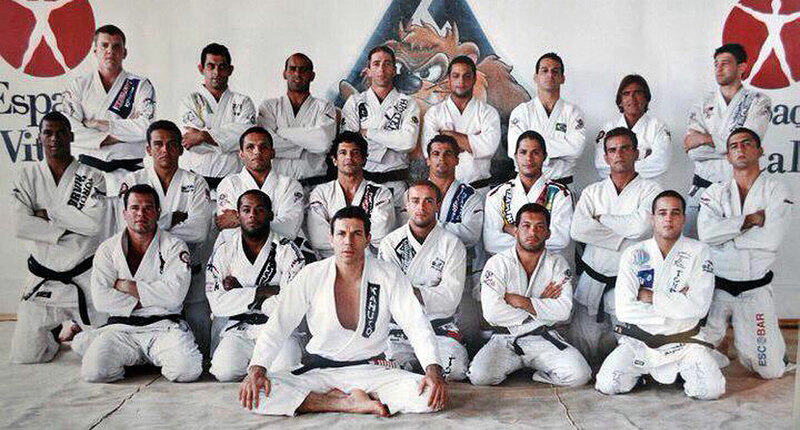 The Gracie Barra academy became one of the most feared teams of the late 1990’s and early 2000’s winning the Mundial (World Championships) on several occasions, being 2002 the most dominant year for Gracie Barra’s history with 8 gold medals in the mens black belt division, solidifying its name as one of the top academies in the world. Though the team was highly successful, many of its prodigal sons started to clash with the leadership’s views and drifted away from the team going on to create their own. People such as Mauricio “Tinguinha”, Helio “Soneca”, Alexandre “Soca” and many others who did not approve of the direction the team was heading, including Roberto Correa (in 2007) who was one of the main coaches at the Gracie Barra Combat Team – the MMA team of Gracie Barra. 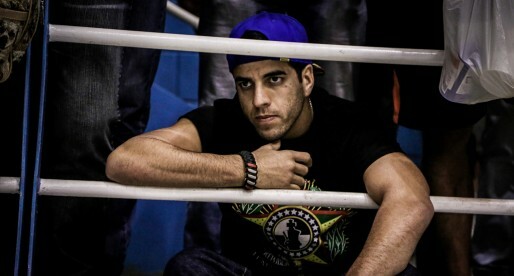 Correa (aka “Gordo”) left the team after a well documented feud between Carlos Gracie Junior and Carlo Malta (who was the manager for most of the GBCT fighters). “Gordo” stuck to the fighters and Malta leaving Gracie Barra to form “Gracie Fusion” opening at a later stage his own endeavor, Gordo Jiu Jitsu. Gracie Barra as a fighting company was always very driven to the globalization of its team, setting up franchising modules from early on. This expansion was taken to another level when in 2005 as the team moved its headquarters away from Rio de Janeiro to Lake Forest, United States, after an invitation by James Lu who partnered with GB to create a mega gym in the area. 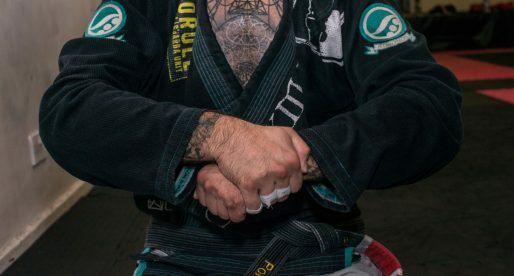 This move caused some turbulence from the start as Mauricio Tinguinha (a former star for the Gracie Barra team) had settled an academy in that same area for some time and saw the move to his backyard as an affront. He was mostly irate by the fact that he was good friends with one of the head coaches of the team (Marcio Feitosa) and had only heard about the move through the internet, a case highly discussed on forums around the world. 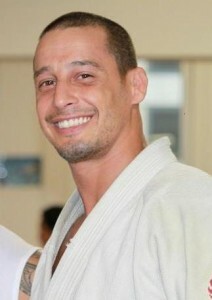 The controversy did not end here, and a few months after the move, the owner of the gym where Gracie Barra was held, James Lu, changed the locks on the doors and dismissed both Carlos Gracie Junior and Marcio Feitosa from their positions as head coaches after personal issues with the Gracie Barra duo. The students (who had signed their contracts with the actual gym and not the Gracie Barra franchise) were left adrift for a while, making the whole situation a poorer period for the academy. After the situation was cleared Carlos Gracie and team moved to Irvine California, settling their HQ there. The Gracie Barra expansion used many of its black belts to open smaller Gracie Barra academies all around the US, using a “BJJ for all” approach and marketing campaign tag line, in an attempt to become a more family orientated sporting academy. This highly successful plan saw the growth of its student portfolio by the 1000’s but took its toll on the competition team, a team that saw its black belts spread out around the world training mostly by themselves or with students. This influenced Gracie Barra’s weaker performances on the major tournaments at the black belt level in the mid 2000’s. The team started making a come back in the mid 2010’s with younger blood such as Felipe Pena and Otavio Sousa combined with the return in good form of some of the older generations. This come back has continued to grow with home grown talent such as Edwin Najmi and AJ Agazarm to name a few. Oh, this is an outstanding Gracie Barra Interview. Perfect!!! It tells it all and it shows the athletes, the unforgettable ones that have started it all… And, yes, Gracie Barra is absolutely one of the Academies on the top of my list of the greatest of all times! Loved it all and shared on my wall, of course! 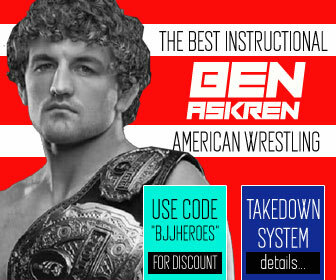 Congrats BJJHEROES!!!!! and conngrats Gracie Barra!!!!! Very well done! Intersting article. Great job for Whoever put this together. I found the conclusion that GB lost its competition edge quite weak though. Our worldwide expansion did influence our results in major tournaments but our performance on local tournaments improved a lot. There is no team worldwide who is able to collect trophies from tournaments in Japan, Lisbon, Chicago, sta Catarina etc the way we do. We did lose our focus on major tournaments and that’s why it seems like we have lost our competition edge but in fact it has never been stronger. That’s how we see it . Great job with the article once again guys. Thank you Flavio, I understand what you are saying, and I did write: " weaker performances on the major tournaments at the black belt level" I did mean at major tournaments and at black belt level. Not at smaller events where Gracie Barra still does very well. olá gostaria de pedir para fazer umas correções como faço??? Objectively, the Barra location is one of the best academies in Rio de Janeiro, even if it’s a little out of the way for those of us living in Zona Sul. 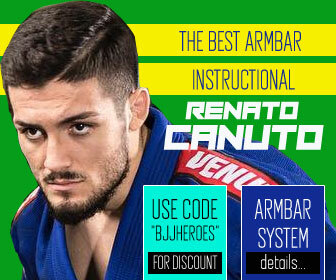 They ranked 2nd in the 2012 Rio Jiu-Jitsu Ranking (RioJiuJitsuRanking.com) due largely to scores of “excellent” in the facilities category and in the competition category. Hell are you forgetting two names gracie black bar world champions!! one of Francisco Fernandes junior "chiquinho de cuiaba" and another sported fernandes both 2005 and 2006 respectively IBJJF world!! Awesome article. Training at Gracie Barra and becoming part of this team refueled my fire to train BJJ and opened my eyes to what BJJ is all about. 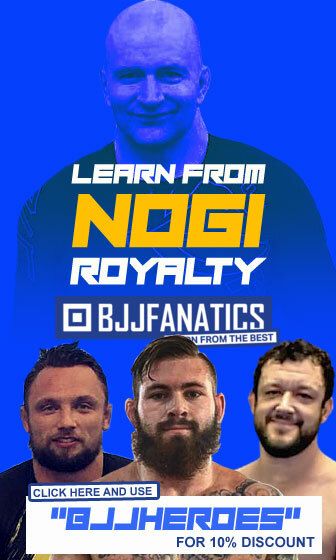 I find it really cool that GB tries to spread BJJ all over with the mindset that it is for everyone. Some people may have some different views about GB, and I was one of them. But now that I am part of it, I see their goals and I am enjoying it to the fullest. GO Gracie Barra!